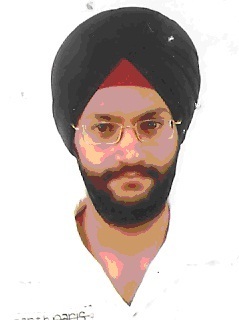 Dr.Jujhar Singh: It’s all due to god`s blessings, my strong family support & caring friends. Hard work if done consistently & smartly always pays off! Dr.Jujhar Singh: They are the real pillars of my life. They experienced my stress more than myself & supported me all way along one of the toughest phases of a medico`s life. Dr.Jujhar Singh: My Grandfather..... my Inspiration! Dr.Jujhar Singh: Every single day was like a battle but family , DAMS Faculty & regular hard work gave me confidence to achieve my ultimate goal. Dr.Jujhar Singh: I read AA & MK PLUS Manoj Chaudhary for PGI. For reference I read Harrison, sabiston , robbins , katzung , ananthanarayan. Dr.Jujhar Singh: Again focussed on previous 10 yr papers. MK, AA were most productive & across though an excellent book but has many mistakes was less productive. Dr.Jujhar Singh: DAMS FACULTY esp. Sumer sir, surgery sir was all gr8 source of motivation & grand tests by DAMS helped a lot to assess my own performance. All T&D classes were excellent. Dr.Jujhar Singh: I have always preferred selective intensive style of study coz sky is the limit when it comes to entrance exams & it’s better to focus on imp topics. Dr.Jujhar Singh: Multiple PG exams are very imp coz nobody except few can perform to best of their abilities every day. If a person has a bad day in one exam, he can always bounce back. But then it is also stressful to prepare for every exam in a new way. So it’s like a two edged sword! Dr.Jujhar Singh: I focussed on medicine, pathology, pharma, micro & all remaining short subjects. Dr.Jujhar Singh: Strategy was to minimise silly mistakes as much as possible. I attempted all questions in PGI & marked around 480 options. As negative marking is high in PGI & calculated risks should be taken. Dr.Jujhar Singh: I wanted to become an Orthopaedic Surgeon & that’s what I have got at prestigious PGI Chandigarh. Dr.Jujhar Singh: Dr Sumer Sethi is undoubtly the best teacher & a gr8 source of inspiration for all pg aspirants. His approach to teach is seasoned & it was a privilege to attend his classes, Surgery sir was also good & so was peads. All teachers gave their best while teaching.